The Trump administration intensified pressure against socialist dictator Nicolás Maduro’s illegitimate regime with the addition of new sanctions on March 22—this time targeting Venezuela’s National Development Bank, Bandes. 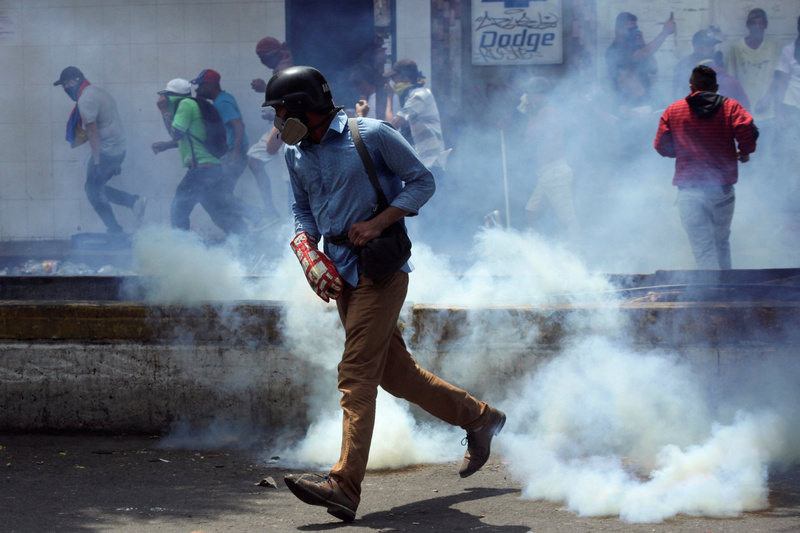 It comes just a day after the administration warned there would be consequences for their arrest of a top aide of Juan Guaidó, the internationally recognized interim president. The latest U.S. sanctions targeted Venezuela’s state-owned and controlled bank, Bandes, and four other financial institutions that Bandes owns or controls. Mnuchin added that the regime’s repeated kidnapping, torture, and murder of Venezuelan citizens “will not be tolerated” by the United States or the more than 50 nations that recognize Guaidó as the legitimate ruler. Banco Bandes Uruguay S.A. In early 2019, Maduro tried to move over one billion dollars out of Venezuela via BANDES to its subsidiary in Uruguay, Banco Bandes Uruguay S.A. It is based in Uruguay. Banco Bicentenario del Pueblo, de la Clase Obrera, Mujer y Comunias, Banco Universal C.A. It is based in Venezuela. Banco de Venezuela, S.A. Banco Universal. It is based in Venezuela. Banco Prodem S.A. It is based in Bolivia. On the same day, the Trump administration warned the regime over the detention of Americans that include six executives from Houston-based oil company Citgo Petroleum. The Americans have been jailed in Venezuela since 2017. The United States is “gravely concerned” over the wellbeing of all Americans detained in Venezuela, Robert Palladino, the Deputy Spokesperson for the State Department said in a statement. Venezuela authorities reportedly blocked attorneys and families of detained U.S. citizens from delivering food and denying routine communication. The State Department also detailed how the detained Citgo Petroleum employees were “suffering from chronic health conditions related to their incarceration and inhumane treatment.” And in other case, authorities refused to release U.S. citizen Todd Leininger. The department said that they will continue to press Venezuelan authorities for the assurance of the safety and welfare of all Americans detained in Venezuela. The statement comes a day after Sen. Ted Cruz (R-Texas) and Sen. John Cornyn (R-Texas) called on Maduro to release the six Citgo employees. According to Reuters, they were arrested in late 2017 on accusations of embezzlement and money laundering linked to talks to refinance Citgo’s debt. Maduro’s regime is fighting over control of Citgo with a group led by Guaidó, which has appointed its own board to run Citgo. Guaidó said on March 21 that intelligence agents had detained his chief of staff during a pre-dawn raid. Vergara told reporters outside the SEBIN intelligence service that Marrero had shouted as he was being led away that the agents had “planted” weapons in his home. “Before being taken away, Roberto Marrero (chief of staff for opposition leader Juan Guaidó who was taken from his home), while handcuffed, shouted ‘Sergio, they planted two rifles and one grenade’ which is clearly items they (the intelligence officers) planted just like they have done during other incidents to dozens of Venezuelans, just like they have done with our legislators,” Vergara said. Vergara, Marrero’s neighbor, said some 40 armed SEBIN agents forced their way into their homes and spent three hours inside. The SEBIN left with Marrero and Vergara’s driver, the legislator said in a video posted on his Twitter account. Guaidó’s press team also sent a video showing damage to the door of Marrero’s home and its broken lock. 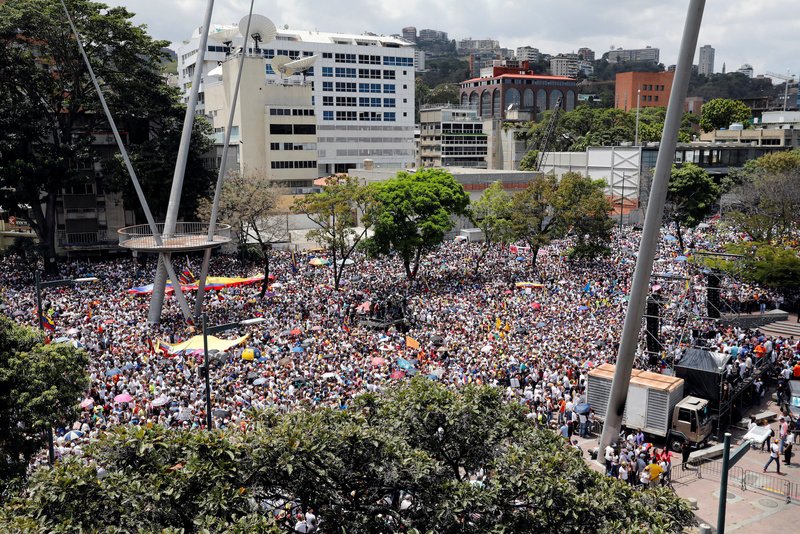 Guaidó invoked the constitution in January to assume the interim presidency after declaring Maduro’s 2018 re-election a fraud. 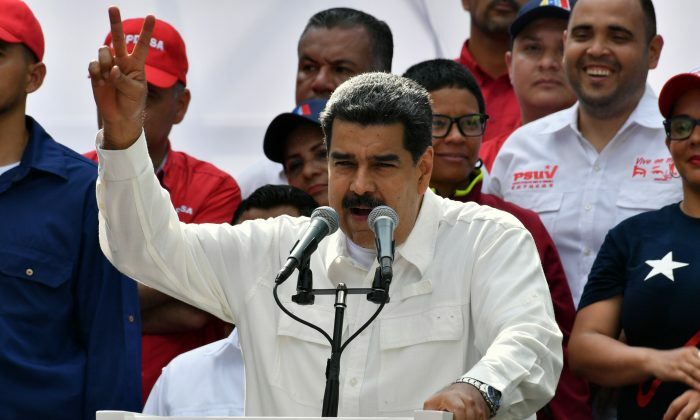 Maduro, who has overseen a dramatic collapse of the OPEC nation’s economy, has called Guaido a puppet of the United States and said he should “face justice,” but has not explicitly ordered his arrest. 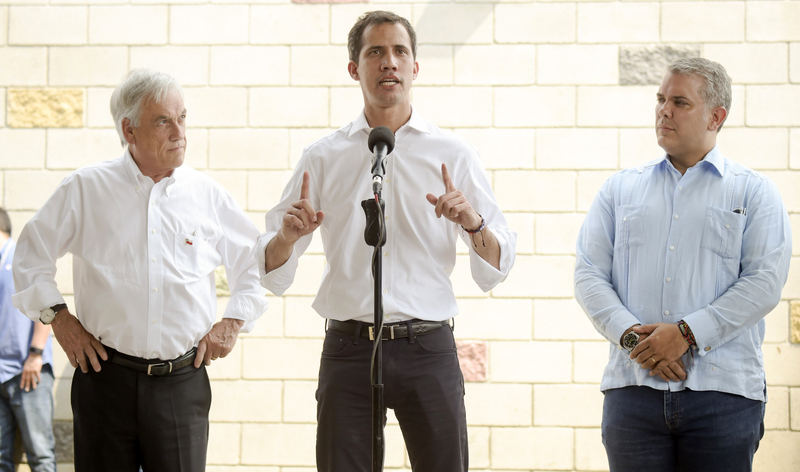 Top U.S. officials have repeatedly warned Maduro not to touch Guaido and his inner circle and threatened harsher sanctions intended to further isolate Maduro and cut off his regime’s sources of revenue.